Summer is festival time in Japan, and if you are here, or have been here during the summer months, it is more than likely that you have seen, heard or experienced a festival or two. 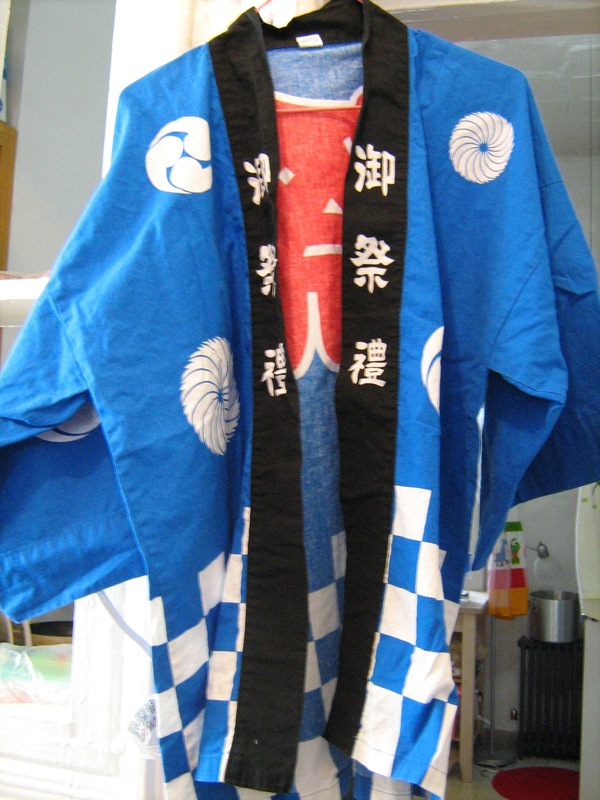 Last time we touched upon the subject of the Getas, a usual sight at festival, as it is usually worn with the Yukata. This time we are going to take a look at the things you might see and experience at the festival. This jacket is usually used by those that are working at a festival. Traditionally it was the servants of a greater family that worked at the festivals, so on the back they wore the Mon (Emblem) of the family they served, but today it usually just say “matsuri”. Happis with the logo of a store or organisation can also be seen. Keep an eye out for these happy happis, if you have any questions. A hachimaki is a stylized headband (sometimes referred to as a bandana) in Japanese culture. They are usually made of red or white cloth, and worn as a symbol of perseverance, effort, and/or courage. Hachimakis are worn on many occasions, for example, by sports spectators, students in cram school, expert tradesmen taking pride in their work, bōsōzoku (teen biker gangs) and even rioters. 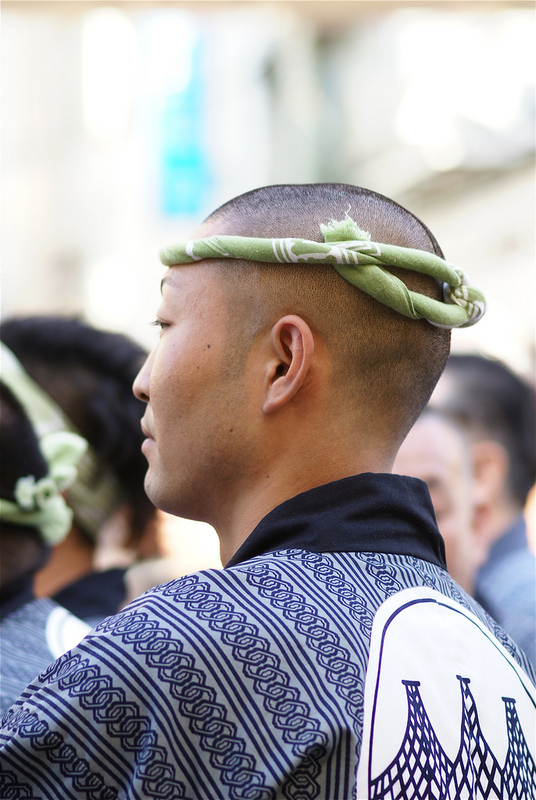 The origin of the Hachimaki isn’t entirely clear, but some theories state that they might have been worn by samurai under their helmets, to absorb sweat, keep hair out of their eyes, and to help keep the helmet in place. Yatai is a mobile food stall in Japan typically selling ramen or other food. The name literally means “shop stand”. They are usually set up in the evenings, and then taken down again late at night. 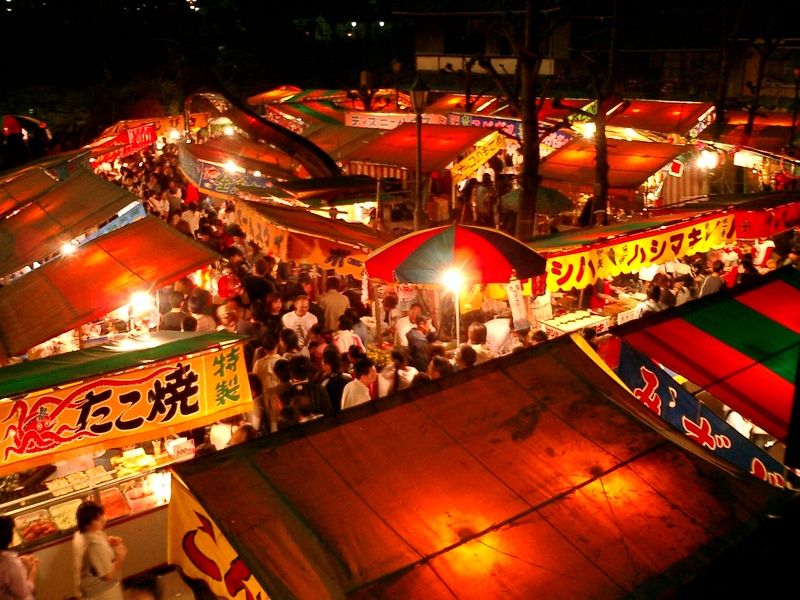 They usually sell a limited variety of food, with most stalls focusing on only one thing at big festivals: Takoyaki, Ramen, Yakisoba, etc. The Yatai is a must at any festival, so make sure you give them a visit.